Hey guys today I will be sharing with you Code To Transfer Money From Diamond Bank. Years back for you to transfer money from Diamond bank to another account you have to go to the bank, clue up and wait till is your turn. This increases stress and makes money transfer from diamond bank difficult. So I will highlight in details concerning Diamond bank transfer code. As time goes on with the help of technology and development, one can now transact at his or her comfort. Diamond bank have been working to make things easier and to provide better services to their customers. Now you can transfer money, recharge your phone, buy data and pay your bills by just dialing diamond bank USSD Codes. · How to transfer money from diamond bank without internet. Like I said before this blog post will be of great help if only you will cool now and read it. If you want to Transfer money from diamond bank to another bank without mobile device, Transfer Fund from Diamond bank account to other bank with phone. USSD code to transfer money from Diamond bank to another bank account, Transfer money from diamond bank to another Diamond bank account; then read on. To be able make transactions from your Diamond bank account your phone number must be registered. How will I register to be qualified to use Code To Transfer Money From Diamond Bank? Follow the steps below to register your phone number with Diamond Bank for easy transaction. Note: it must be the phone number you use to open your account and you must have an active ATM card if not get one. 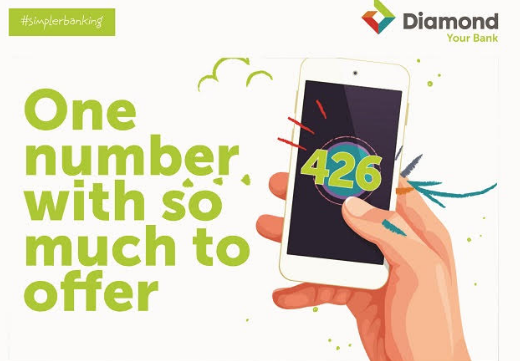 · Dial *426# with the phone number you used to open your Diamond bank account. · Now enter the last 6 digit of your ATM card number (the serial number). · Then enter your account number as commanded. Note: Please your 4-digit pin should be a secret, don’t share it with people for security reasons. · Easy cash deposit and withdrawal. · Accepts and allows you to make cardless transfer. · Fast transfer from Diamond bank account to within or another bank. Now let’s hit the nail at the head. I guess you are looking for Code To Transfer Money From Diamond Bank? Yes, why then beating round the bush? We want to ensure that you follow the due process to avoid losing you money or making mistake. For you to transfer money to any other bank in Nigeria or Diamond bank account. 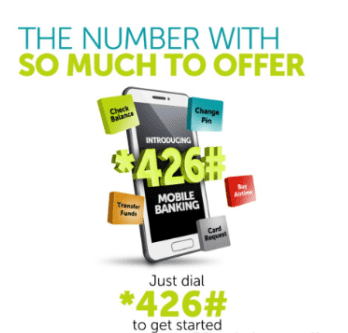 Just dial *426*Amount*Account Number#. · For you to buy airtime from diamond bank account dial *426*Amount#, example if you want to recharge N200 simply dial *426*200#. This method is for self recharge. · If you want to recharge another phone number apart from the one you use to open the Diamond bank account. Just dial *426*Amount*Phone Number# example - *426*200*09039642829#. Have you forgotten your account balance, if so? Don’t worry, I will show you how to check your account bank balance using Diamond bank USSD code. Note: For you to check your Diamond bank account balance that charges are applied. Diamond bank always deduct or charge a fee for using this particular service. This is from my experience, although the charge rate is not high. Dial your account balance Dial *426*00#. Then your account balance will be displayed on the screen or sent to you as text message. Now I have given you full details and guides to use Code To Transfer Money From Diamond Bank including all you need to know concerning Diamond bank USSD codes and Diamond Bank Transfer Codes. Note: Daily usage of Code To Transfer Money From Diamond Bank to other banks is limited. The daily transfer limit is N20,000 per day. Do you want something bigger or that is too small for your transaction, then check out Diamond Bank Mobile banking. Like I said that when using Code To Transfer Money From Diamond Bank to other accounts that your daily transfer limit is N20,000. Now you know the USSD Codes to make transactions with your Diamond bank account. Enjoy banking with Diamond bank. If you have any question regarding to Code To Transfer Money From Diamond Bank. Use the comment box below to inform our team for help.